A few weeks ago a dad from my church emailed me and said his girls were going to camp and wondered if I could put "something special" together for them that they could open each day of their trip. 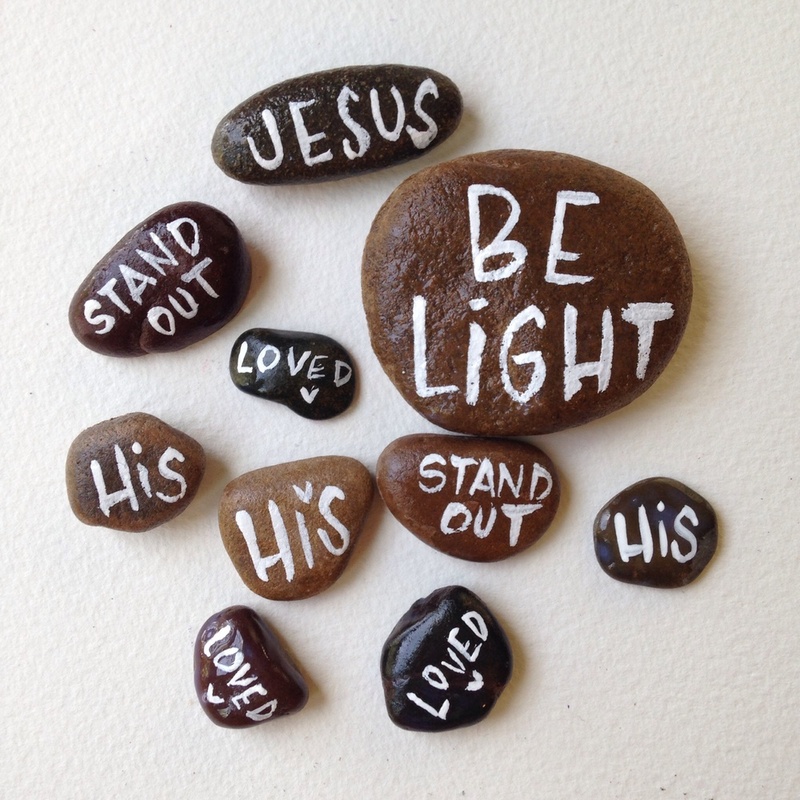 I loved this idea and got right to work by painting rocks.. I love gifting things and I love surprising people so there was no doubt that this was going to be a way fun project for me. I know these three girls and have served with them in our elementary area at our church. They are all kind, loved, and valued. They make me laugh and they make me smile and I know they are going to do big things. So, here's the photo story of what their week will look like.. They each got a journal with words hand picked by dad. My personal favorite is Kelbi's, but I love them all. 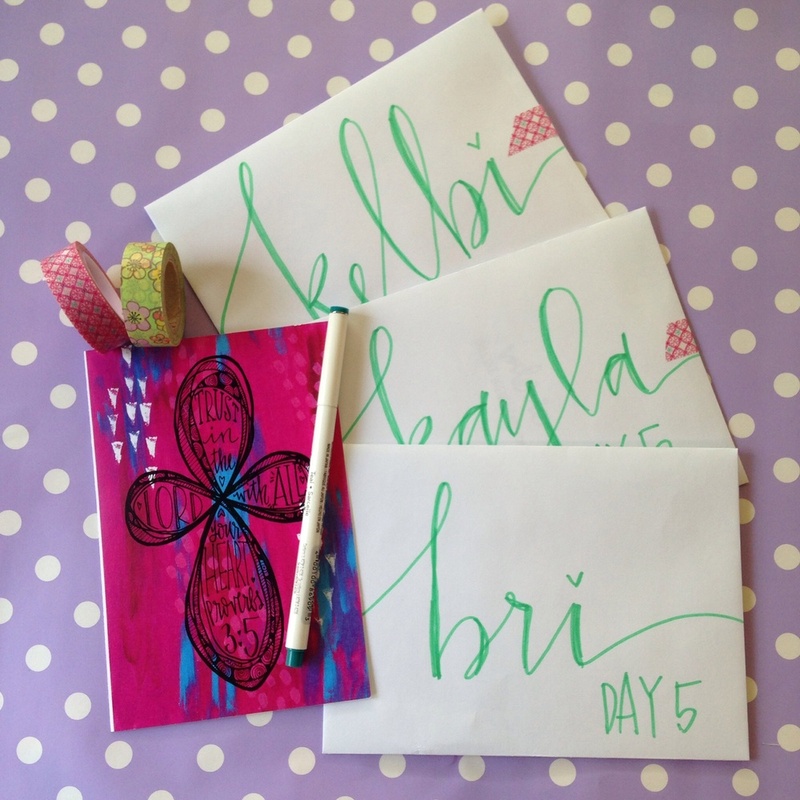 Each girl needs a place to write down all the memories and things she learns at camp. They each got a mirror card and some hand written notes of encouragement and a few thoughts to think on as they start each morning. On day three they get to open a package with a PRINT POSTCARD and day 4 is another card of encouragement. They each got one of my painted rocks, and few more notes, and pretty packaging! Day 5 was a handwritten card from the dad who approached me. This part kind of got to me.. I had an idea that it would be neat for him(me) to write a personal message specific for each girl. He emailed me what each note should say and at this point I almost lost some tears. His words for them were so encouraging and full of life. It made me respect him even more. It made me wish I had a dad like that growing up BUT ALSO made me think of the parent I want to someday be. It was very encouraging and is encouraging when I see good parenting being done right. I love the way some people parent, and this was one example. I did not lack In the creativity department for this special project. I thought through each thing carefully and I hope the girls love it and are very surprised. thank you Chris for allowing me to be a part of such a special week in your girl's lives. if you would like to do something like this for your little camper, email me at vwieners88@aol.com -- I would be more than happy to make something awesome for you! Posted on June 17, 2014 by Valerie Wieners.